LAS VEGAS, NV--(Marketwire - March 7, 2011) - Bart A. Lewin is widely recognized as a global expert in information technology for the gaming, hospitality and retail industries. Now Lewin brings his expertise to gaming technology frontrunner NEWave and is leading the company as its new CEO and CTO. In his position, Lewin will pilot the company in a new direction of expanded solutions, technologies and services. NEWave co-founder Jim Bach said, "Since 1993, we have been providing cost-saving and necessary services to the gaming industry, and now our products help more than 200 casinos do their jobs more efficiently every day. Now we are at a time in our history -- both as a company and as an industry -- where technology is advancing rapidly, and we want to expand our services to help our customers solve the new problems that are arising from this growth. We are thrilled to have Bart lead our team in this new direction." "NEWave has been very successful in helping casinos automate their most tedious and risky processes. Now, it is time for NEWave to expand its information technology capabilities and services to provide even more comprehensive offerings, and we are assembling an incredible leadership team who share the vision of the new NEWave and its incredible potential," Lewin said. Lewin brings a wealth of leadership to NEWave, having founded and developed three technology companies. Additionally, he has held technical and executive management positions for Chevron Chemical Company, International Game Technology, Inc., and Pinnacle Entertainment, Inc. 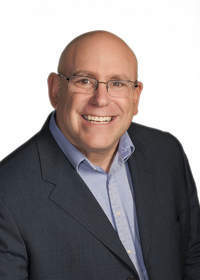 He co-founded a successful database marketing software company, DataDesigns, Inc., which was acquired by Group 1 Software, Inc. (now a subsidiary of Pitney-Bowes), where he was retained as Chief Technology Officer. Over the past 30 years, Lewin has been refining his expertise in marketing technology; intellectual property development, management and protection; software and hardware product development; technical organization management; and IT system implementation. He has also been published numerous times in trade magazines and holds a BA in Economics from Reed College. "The future is very bright and exciting for NEWave, and I advise the gaming, hospitality and retail industries to watch us very closely. In the next few months, we will be making several announcements that will prove just how serious we are about taking NEWave to a new and incredible level," Lewin said. Global IT expert Bart A. Lewin has been named CEO and CTO of gaming technology front-runner NEWave.